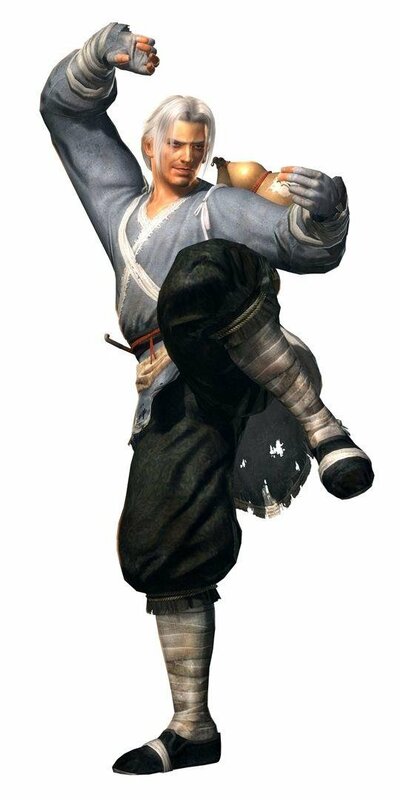 One day, the old master Chen, great teacher of Zui Ba Xian Quan, says: "Bring me the legendary drink. 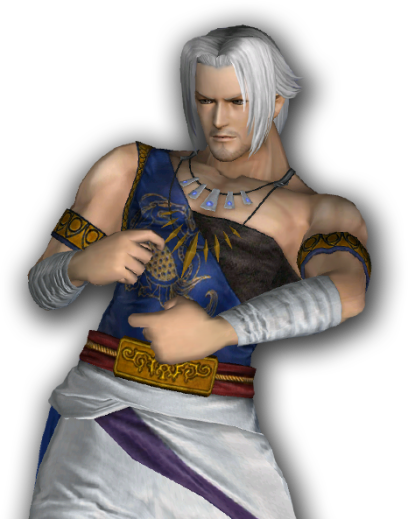 The name is Genra." 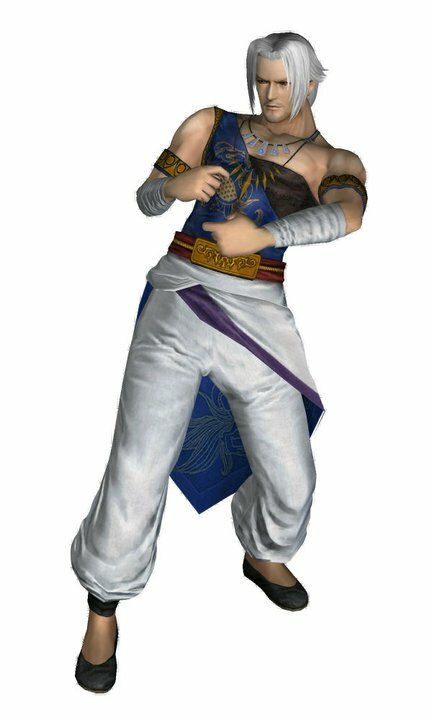 What is Genra? It seems like a riddle. 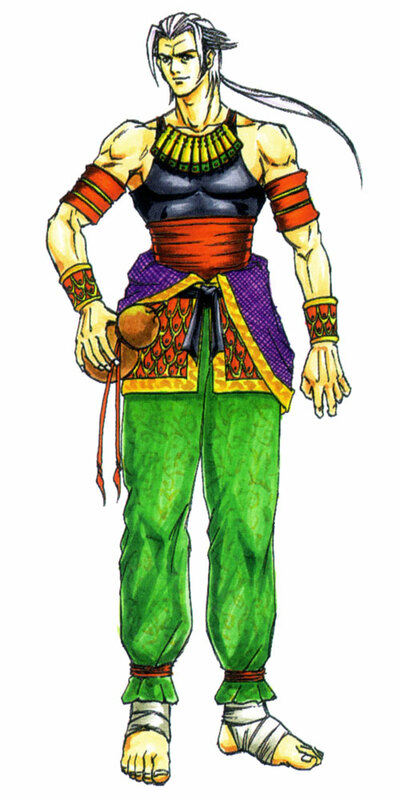 So it is that Brad Wong, a drunken fist user, begins his journey in search of Genra. 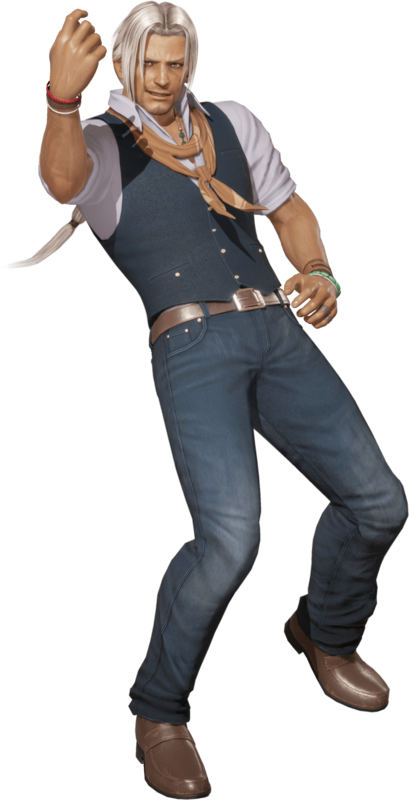 After three years of wandering, he finds himself in a fighting tournament. 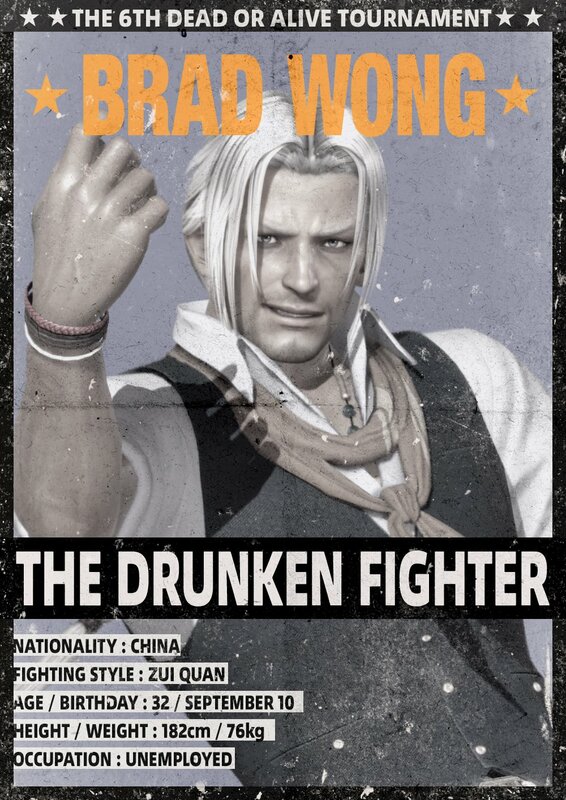 Seldom is a Drunken Kung-Fu user not cool. 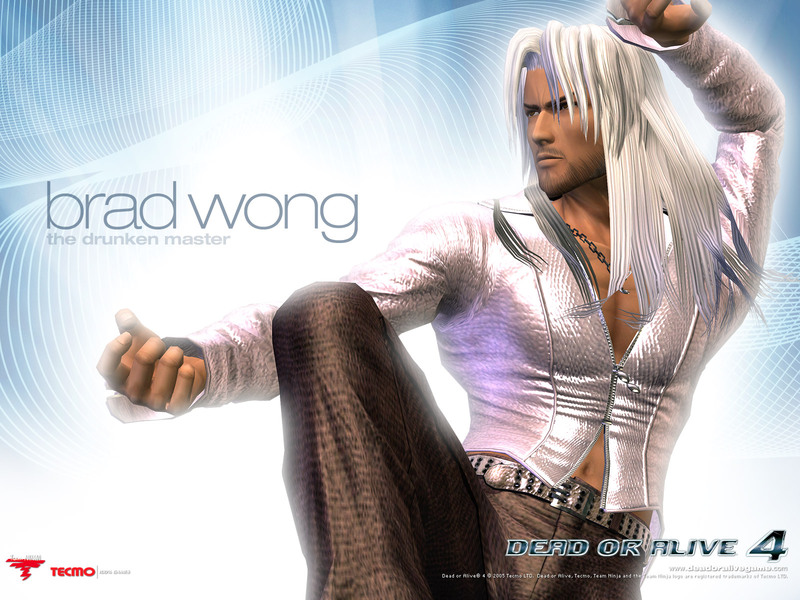 Brad Wong puts a unique spin on the "drunken" style of Kung Fu... but he definitely straight up ripped-off Sephiroth's hairstyle. 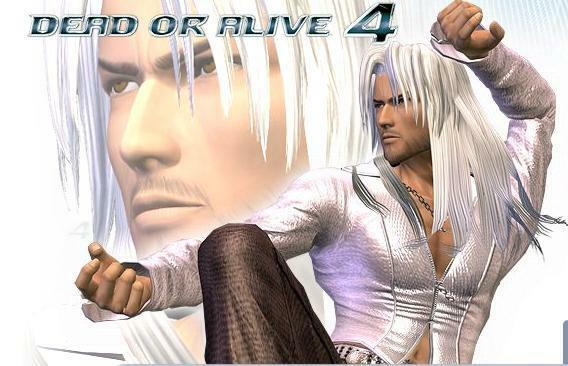 -_- C'mon... it just seems like they gave him silver hair just for the sake of giving him silver hair. He definitely doesn't look old enough to have gray hair. 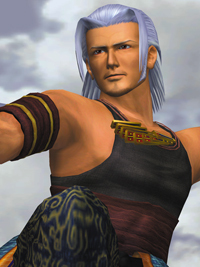 Just because it worked for Sephiroth (and a few other fighting game characters) doesn't mean it works for this guy. 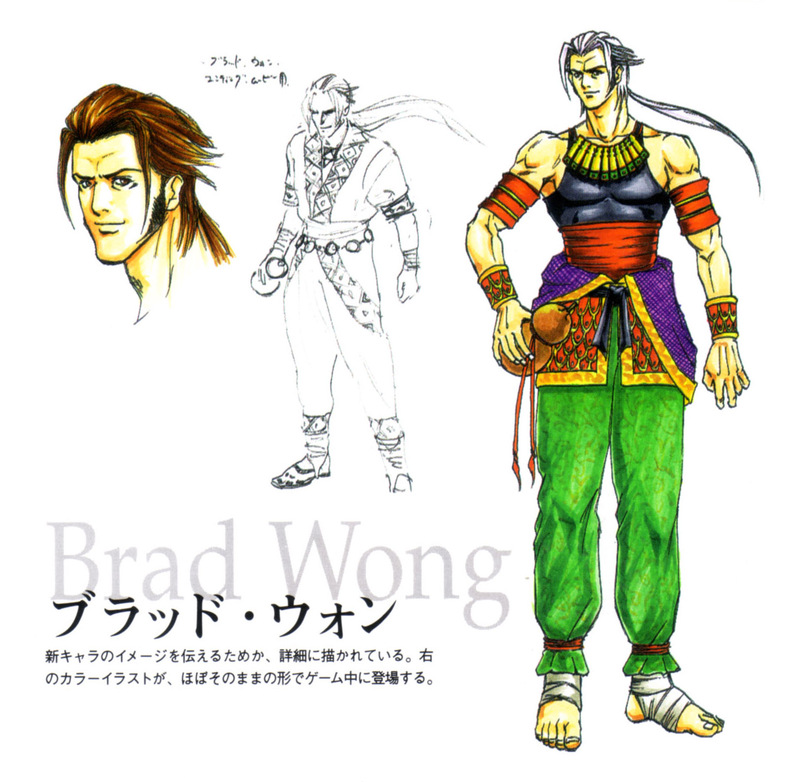 Aside from the dude's hair, Brad Wong actually has one of the most defined personalities in the series (although that's not saying too much). 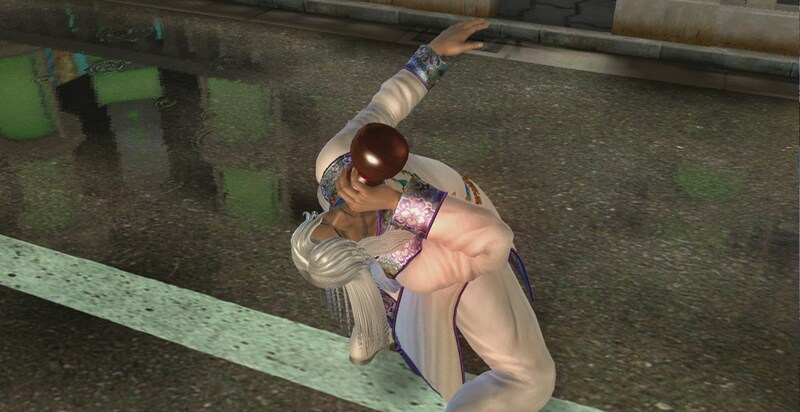 He's entertaining, but he also has some stupid in-game dialogue at the same time. 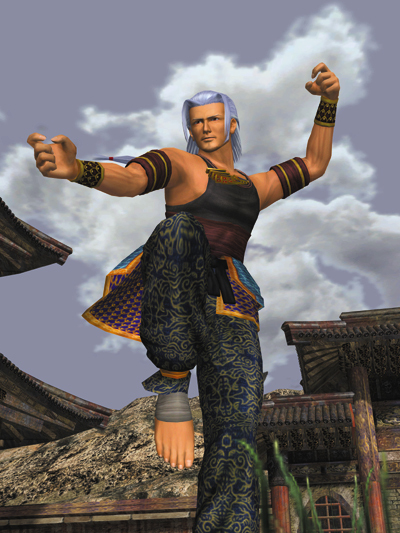 On the bright side, his fluid and flashy fighting style is one of DOA's best.